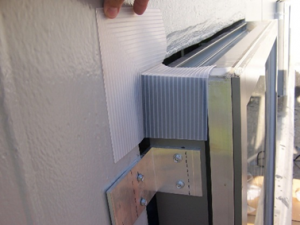 Tremco's Proglaze ETA Engineered Transition Assembly was able to span the gap needed to accomodate the combined thicknesses of the continuous board insulation and limestone veneer to assure continuous, compatible performance between adjoining assemblies. The objective was to create a healthcare facility with a 50+ year lifespan to serve generations to come. Any gaps not addressed or detailed in a comprehensive way open the door to the promotion of airborne infections, patient discomfort, escalating maintenance costs, increased operating costs from energy inefficiency and ultimately, a lack of sustainability. As Parkland Hospital in Dallas, Texas planned the construction of its replacement hospital, projected to be the largest public hospital building in the nation built in one phase at nearly two million square feet, its attention to detail holds promise of contributing to enhanced patient outcomes. A joint venture between Omaha-based HDR and Dallas-based Corgan has been responsible for this massive endeavor including the hospital and site planning. Construction of the new hospital was executed by a four-way joint venture called BARA, an acronym for Balfour Beatty Construction, Austin Commercial, H.J. Russell & Co. and Azteca Enterprises.